Hi friends! Welcome to the party! I'm so excited about this next step on my blog. Thanks for heading over and being a part of the craziness, crazy fun I might add. If you missed my announcement on this link up party, see my post here. 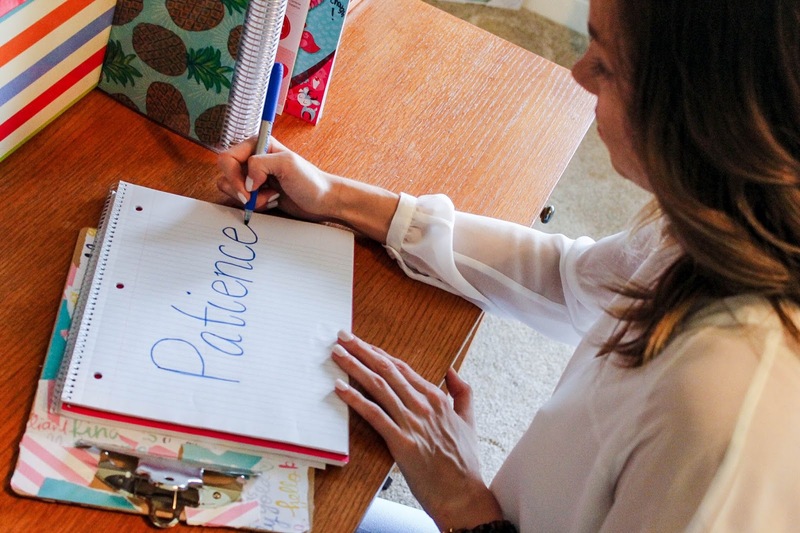 Today I'm sharing how I bloomed this week into becoming more patient. Cliche right?! But just go along with it, there was actually a really good lesson for me in all this (and maybe one for you as well depending on what you're going through in life). When I got home from school back at the beginning of May I was jobless. (Yes, I'm still in school so the situation isn't do or die but with my personality that is something really difficult for me.) I like to have a schedule, be proactive and make money. Who doesn't right?! I am a go getter and so for about 3 weeks I applied to about 10 different jobs. I called so many places, sent resumes, went to interviews and by the beginning of last week I was so discouraged. I had absolutely no offers. No one wanted to hire me because I couldn't work weekends due to a commitment I have with an Event Planning Company. I had officially accepted that this was my time to relax and enjoy quiet while I could. A rather hard concept to accept quite honestly but I said "okay, God. I'll wait." That evening I got a call from a marketing company I applied for on a fluke because my dear friend Alana had applied for the job but said the description didn't really fit her style. It sounded like something I would do (but quite honestly I was really willing to work almost anywhere.) I went in for an interview the next day and they told me I left a wonderful impression and they'd call me to let by the end of the day if they thought I was a good fit. Yes this concept of patience is simple but the reality is it's something very hard to exercise. When I finally stopped trying and told God I was content with nothing, a blessing fell right into my lap. I realized through this that after a certain point I (and maybe you do to) needed to release the control of the situation and just let it be. Sometimes it just takes a little patience to realize that there is a time for everything and a season for every activity. I hope you'll remember this difficult lesson whether you're in the season of waiting, you're walking in to one, or just walked out. The seasons of patience refine us and make us that much better. The end of the waiting season allows another petal on your flower to bloom. Keep on pressing on friends! Blessings! I can't wait to read how each of you bloomed this week! Oh, I soooo needed this. I graduated last May with my BA and I am still unemployed. I recieved a degree within the social services field, and feel bummed that over hundreds of job applications sent, and some interviews, and still nothing!!! Oh Maya! I'm so sorry to hear this. I'm glad you were so encouraged. Know that there is the perfect job out there for you. It will come. Praying for you! Congrats, Abi! That's great news! Congratulations on the job, Abi! What a great link up and beautiful bloom! What a nice little reminder. Thanks Rechelle!! The reminders are sweet, I completely agree!